Pack with everything you need to sell your products on the internet. Let it all prepared for that inagures your eCommerce in record time. €1310 free modules included in the pack. Why do I need this store? Would you like to be part of the online trading? Do offer to your customers the possibility to buy your products online? Extend your business beyond the borders of your city and your country? Can increase your sales? Because the first thing you need is a custom that fits the needs of your business. For this reason, from AlabazWeb we offer you this pack of store so you can start to improve from today and notice the difference in a short time. Your customers You can access your products easily, wherever they are, and receive them in a few days at his home or where they prefer. You You can expand your business and sell your items anywhere, offering your customers the advantages of e-commerce. What does this package of online shop turnkey? This pack includes everything you need to start your career in e-commerce. With this package you can start selling your products online in a short time. Previous meeting to assess your needs, preferences, know your product, your business, your market niche... and so can bring you the best store for you. Domain (Annual) own choice (.,. eu, .com,. .NET, .org, .info, .biz) these domains are priced from € 14.52 VAT which will begin to be paid after the first year, if you need a different domain, should ask the amount. Installation on a hosting (Annual) with its own resources. 1.5 GB space and 20 GB of monthly traffic. This hosting has an annual cost of €116,16 VAT included, that will begin to be paid after the first year. Installation of a SSL certificate 256 bit Rapid SSL (annual) to keep safe your customer transactions. The SSL certificate has an annual cost of €108,9 VAT included, that will begin to be paid after the first year. Complete online store developed in PHP-MySQL, the most used Internet programming language. 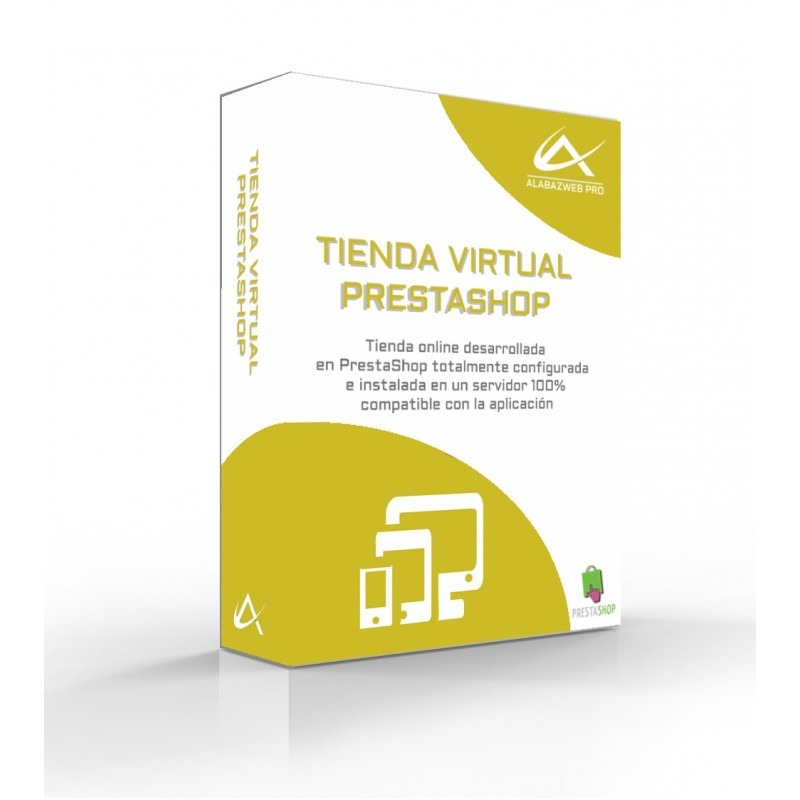 PrestaShop is free software. Configuration of details of the store: emails, address, company name, CIF... * maximum 4 physical stores. 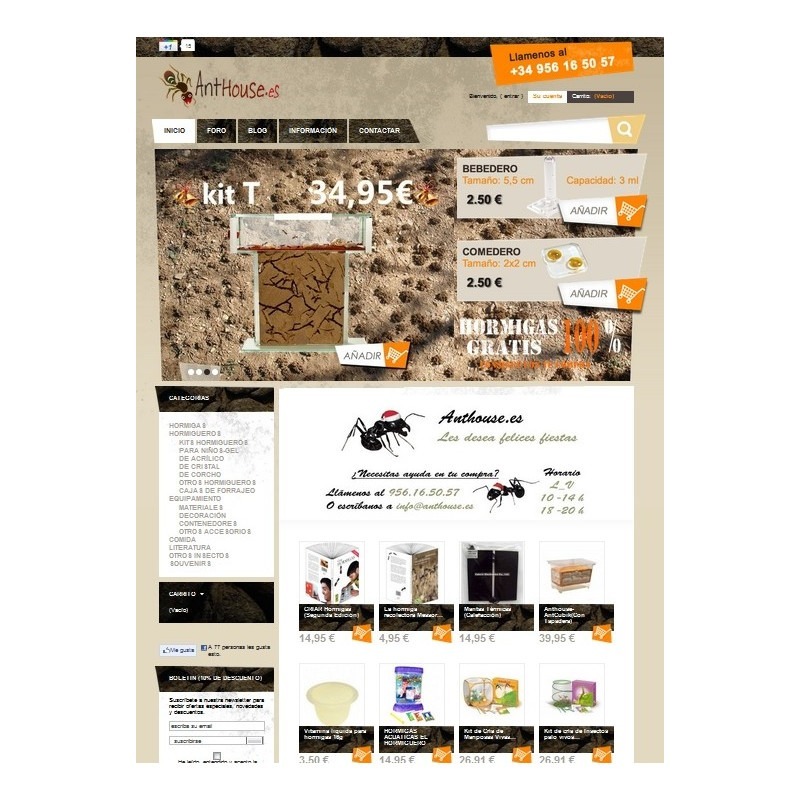 You can choose from hundreds of templates, for the design of your online shop, AlabazWeb puts at your disposal. In this way you can customize the store to your taste and needs of your business. Inclusion of the Logo that you provide. Configuration of the text of the home page so your customers can see the most important thing you and your company with just entering the home of your business online. Configuration of the Slider shop to make much more visible and attractive. * Maximum 5 slides. Configuration of a banner on the home page with the images that you send us to customize your store. * Maximum 3 images. Configuration of the relevant information company: contact information, e-mail, store data, tax data and data from invoices and packing slips. Configuration of all the emails need. 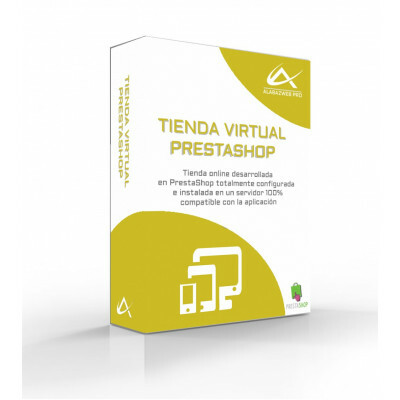 * Default configuration in PrestaShop (if you want different information must provide us with the text that you want, we provide you the texts of the templates initially). Configuration of MailAlerts with all the email accounts you need to receive notifications of orders, payments, invoices... without having to access the backoffice of your PrestaShop. Setting up the accounts of customer service (maximum two accounts. If you need more an advantage cost extra). Creation of 5 categories manually. In addition, if your categories are in a CSV document we'll upload them all. * Maximum one image for category. Configuration of a National Transportation Agency. The payment module settings by Bank transfer. So far everything Prestashop can do for you, and... Starting from here, what ALABAZWEB.COM offers you as a bonus! Installation and configuration of the Payment gateway Virtual POS Redsys (to install and configure any national payment in your shop Gateway, (you need to have previously contracted with your bank). * Will set a POS with two options. Installation and configuration of the module PayPal surcharge for PrestaShop or PayPal surcharge with limitation according to categories. Installation and configuration of the module of Requivalence ecargos for professional clients. Installation and configuration of the module of Transfer with discounts and surcharges depending on the amount of the order. Installation and configuration of the module that eliminates the ID of Prestashop to improve the friendly URLs help SEO on page. Installation with no configuration of the the 404 errors redirect module to the URL for the category to avoid losses of SEO and sales of similar products by the comments of a particular product. Installation and configuration of the module to make fixed the basic product information doing scrol in the producuto, so that the user always has the details of the product that you see along with the price and add to Cart button. Installation with no configuration of the Module to improve the usability of your Prestashop store attributes, so that its use is your clients more friendly. 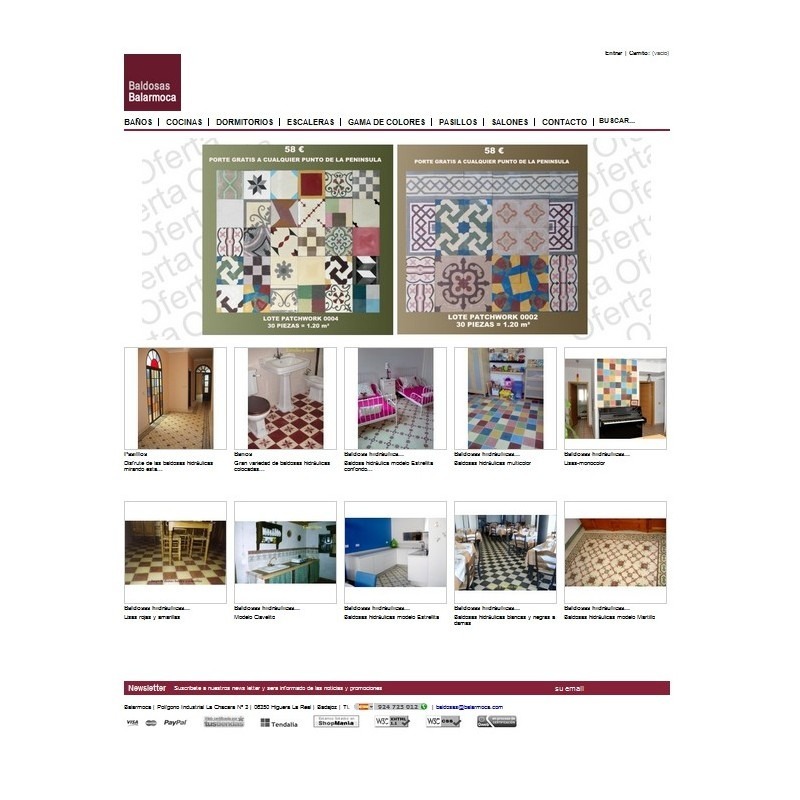 Installation with no configuration of the module to display products highlighted by categories in the home your ecommerce. 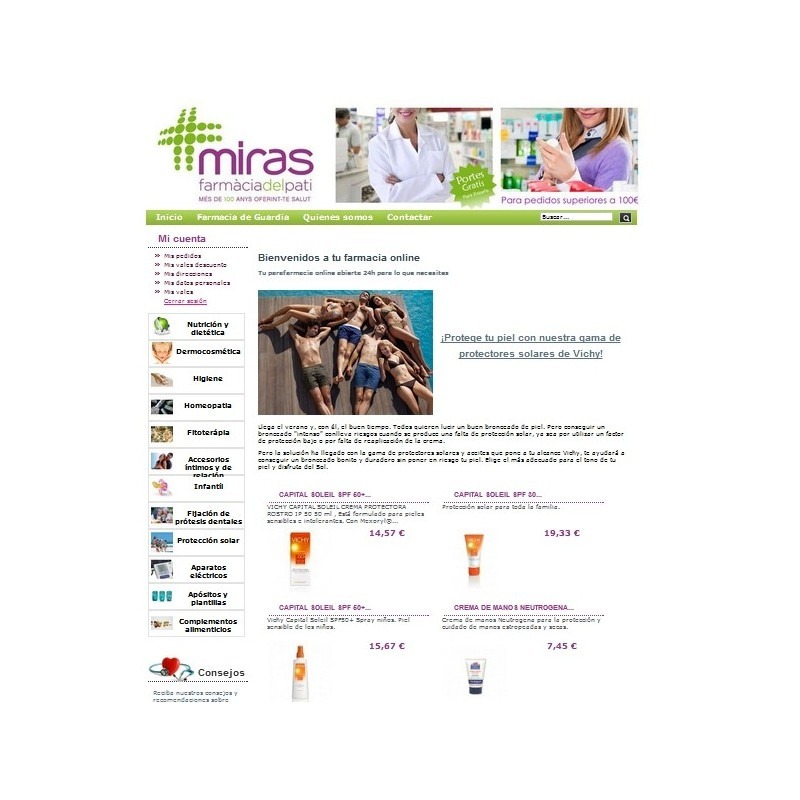 Installation with no configuration of the module that adds configurable instruction labels to the product images or iconsso your icons are corporate and you can indicate in the image if this article has for example a 20% discount, is a new product, or is only on sale online, or just for a few days. Installation with no configuration of the module extra images with information about products, so you can emphasize any advantage that you product offers. Installation with no configuration of the module to create promotions 2 x 1, 3 x 2, NXM with which you get to make offers to your customers. Installation and configuration of the module with button to indicate to the client if you want us to call you, if any doubt arises you while browsing products. Installation and configuration of the module for remaining quantity for free shipping at check out. Installation with no configuration of the module for frequently asked questions (FAQ) on productsso your customer can get consultations on each product and other users can see them. Installation with no configuration of the module to create Pop up anywhere in you eCommerceso the messages that you want to offer your clients, for example, you reforzarás Buy and get a % discount on your purchase today only! Installation and configuration of the module for login as your customer without having to access dataand when you report a bug you will be easier to be able to detect it. Installation with no configuration of the module to store incomplete records mail addresses. Installation with no configuration of the module to get invoices in PDF or CSVso that you can post to your accountant with utmost simplicity. Installation of the module which completes the editor of PrestaShop version 1.6, which will make life much easier when editing your products. 1 hour of E-learning. During that time a member of our technical team will connect with you via Skype to show you how to configure your store and resolve any queries you may have. This type of connections offer great advantages since you can share your screens and solve possible incidents at the time. Video tutorials about how to create a product and how to manage an order in Prestashop. This package includes 30 h marketing online It is divided in 6 months so you can begin to make your business profitable. During this period our team will guide you and advise on everything you need to go by. But to achieve optimal goals it is necessary that you also spend you time, even if it is little! Each month we will send you a report with the actions carried out in your website so you can see the progress. Satisfaction guarantee 30 days. If during the first month of operation of your store, you have any problem, we solve it yourself without any additional cost. With our virtual store pack you will have absolute control about your business. You can completely manage your Hosting Cpanel and create and manage your store completely online. You only need a computer with internet access. You can choose the style of your shop and your organization. We offer a multitude of templates so you can select which best fits the style of your business. In addition, you can include all products you want and organize them in categories you need. If you have any questions about setting up your shop you can easily solve them thanks to our video tutorials and our technical support service that is at your disposal whenever you need it. With our virtual store pack you will have all the advantages that PrestaShop provides your business with United to the best solutions created by AlabazWeb Pro. Don't think it more and increase your sales by taking advantage of all the benefits of the Internet. Any questions do not hesitate in contact us and we will offer you the solution that best fits your needs.